On a rainy April afternoon, a hopeful member of Case Western Reserve’s Class of 2013 climbed the dozen steps to the door of Clapp Hall, home of the university’s chemistry department. He was there for the final hurdle of his undergraduate career: the senior capstone presentation. The assignment, designed to have the student draw on all the knowledge and skills acquired through college, involved both a major intellectual undertaking and then an explanation of the result. In this case, the effort was a 177-page treatise on leadership. For the next 90 minutes, three faculty members would probe his ideas, push for ways his suggestions could be applied in other settings, and assess whether the work met the university’s academic standards. A couple of weeks later, the news came: 74 years after he began his studies on this campus, Morton L. Mandel had earned his bachelor’s degree. This Sunday, he will join 2,000 students in caps and gowns as they process to Commencement ceremonies at the Veale Convocation, Athletic and Recreation Center. 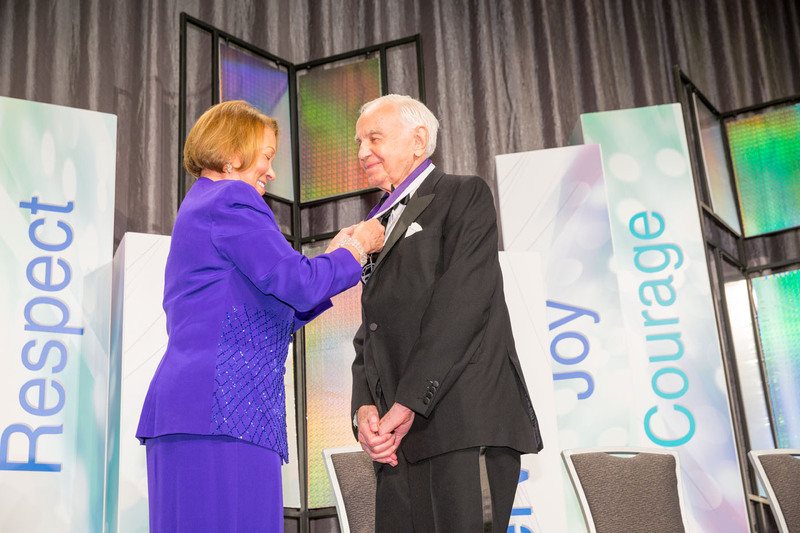 The Cleveland-born co-founder of Premier Industrial Corporation and the Jack, Joseph and Morton Mandel Foundation needs no new accolades or honors. Leading management thinker Peter Drucker named him as one of the nation’s greatest business leaders, along with GE’s Jack Welch and Intel’s Andy Grove. Then-President Ronald Reagan honored him at the White House for his community work. And the American Academy of Arts and Sciences elected him to its ranks for his contributions to the humanities. Yet that undergraduate diploma is so significant that Mandel agreed to participate in the capstone process to earn his last outstanding credits. And he cannot wait to join his classmates to celebrate their academic accomplishments together. “[Education] should be valued and treasured because it’s the path to the future for every living soul,” Mandel said. His own story, captured in the 2013 book (and capstone project) It’s All About Who, is a testament to the influence of lifelong learning. After exceptional academic at Cleveland Glenville High School, Mandel accepted a scholarship from Adelbert College, one of the schools that later became part of Case Western Reserve. But his education was interrupted by two factors: his decision to launch an auto parts business with his brothers Jack and Joseph, followed by his enlistment to support America’s effort in World Ward II. Mandel’s initial military exam scores convinced the U.S. Army to send him first to Pomona College in Claremont, California, and then to the University of California at Berkeley. In the ensuing decades, the trio built their fledgling auto parts outfit into an international company traded on the New York Stock Exchange. In 1996 Premier merged with England’s Farnell Electronics in a $3 billion transaction. But it was more than four decades earlier that the brothers began the initiative that brought true meaning to their lives and honored the generous example of their mother. 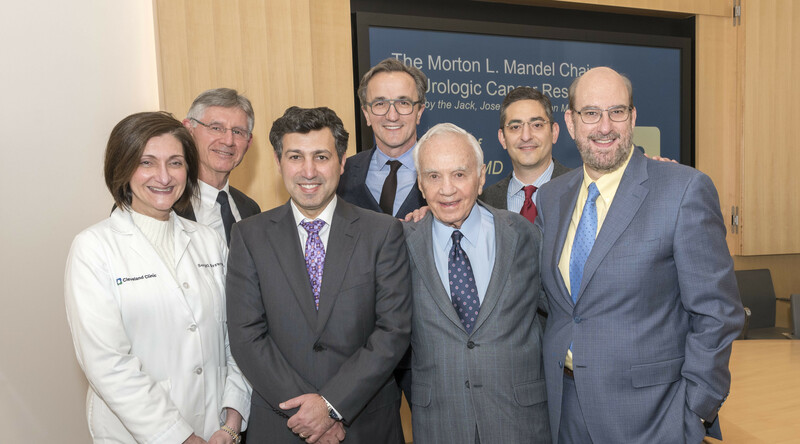 Now known as the Jack, Joseph and Morton Mandel Foundation, this philanthropic endeavor has seeded extraordinary humanitarian, educational and leadership programs in Cleveland and across the world. Throughout his career, Mandel allowed experience to teach him. In the army, for example, he witnessed the effects of a systematic approach to every significant decision and an unrelenting focus on discipline. He not only brought these qualities to his company, but also the organization of his daily life. Two decades later he spoke with Drucker, then a professor at New York University living in New Jersey. Immediately impressed with the now-renowned thought leader, Mandel arranged to meet with him monthly for advice and insight. When it came for Mandel to discuss the book – his “project” – his faculty panel asked how he would apply such principles to an academic setting. His philanthropic engagement with higher education is extensive, including places like Brandeis University, Hebrew University and Case Western Reserve. In 1998, for example, the brothers helped fund what is now known as the Jack, Joseph and Morton Mandel School for Applied Social Sciences, whose social work program ranks ninth in the nation, according to U.S. News & World Report. Mandel’s designated adviser on the panel, chemistry department chair Mary D. Barkley, said the inquisition quickly transitioned to a mutually rewarding conversation. Also on the panel were Associate Professor of Chemistry Greg Tochtrop and the university’s Vice Provost for Undergraduate Education Don Feke, also a professor of chemical engineering. Feke had conducted the degree audit of Mandel’s transcript and determined that, as of this spring, he needed six credits to qualify for his diploma.